45 day/1500mi whichever comes first. TV, Dvd, power sofa, rear radio/headsets, quick release seats. Normal wear and tear, minor adjustments, not covered. Standard deductable applies. 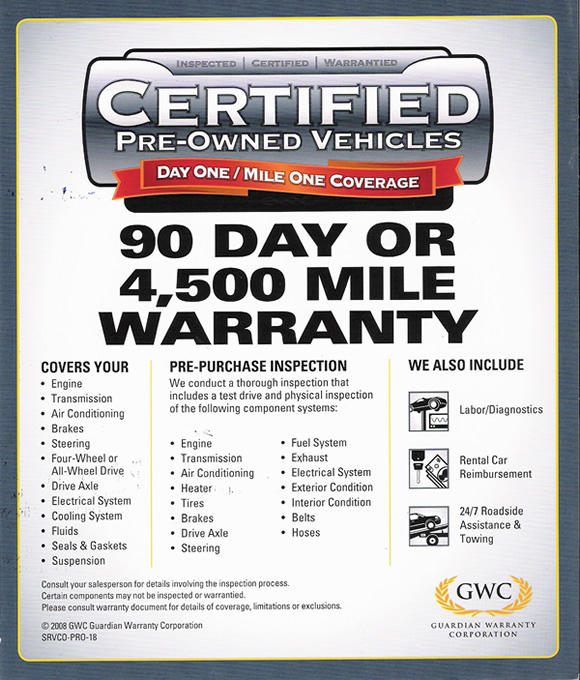 Certified 90 day/ 4500 mile Warranty upgradeable to longer term and Comprehensive Coverage at special Internet discounts. Ask your representative. ***Any vehicle older than 10 years or greater than 80k miles is sold “As Is”.